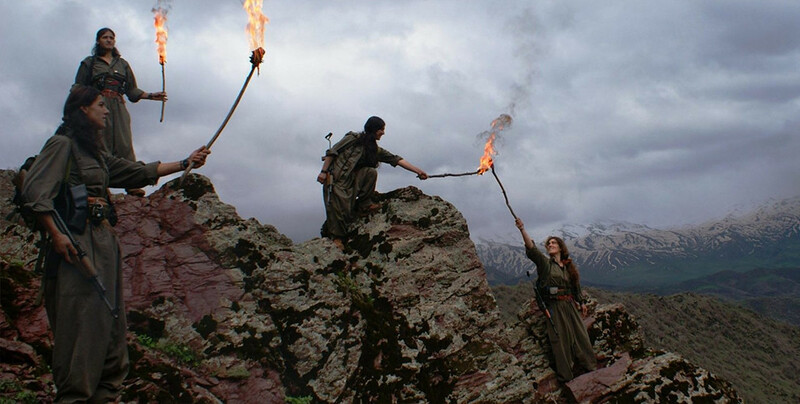 PAJK celebrated Newroz Day for all women, all the youth, all Kurdish people and all who seek freedom and called to raise the struggle with the spirit of resistance and freedom. Al-Basira Women’s Assembly continues to organize under women’s communes to resolve issues women face. Women’s institutions in Northern and Eastern Syria are coming together to hold a meeting with the motto, “Build the free and democratic society with the unity of free women”. 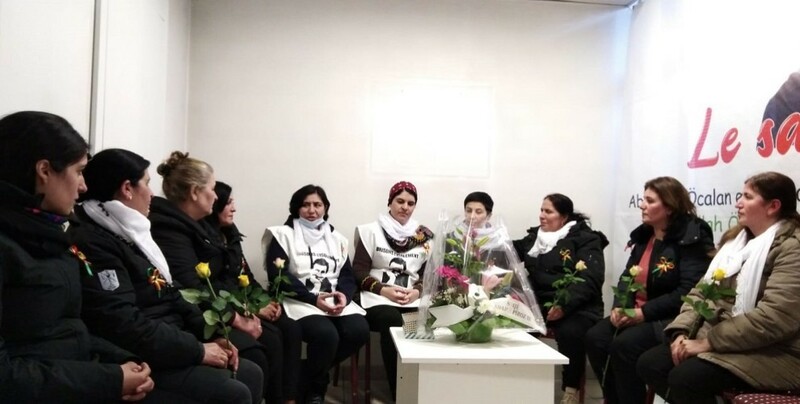 The Feminist Initiative party in Sweden proposed that a delegation of European Union ministers visit Leyla Guven, who has been on a hunger strike for over 120 days. Hawrami Women’s Platform from Southern Kurdistan (Bashur) sent a letter to DTK Co-chair who has been on a hunger strike protesting the isolation imposed upon Kurdish Peoples’ Leader Abdullah Ocalan and saluted her protest. “We are commemorating the martyrs of freedom, the martyrs of women’s freedom and we reiterate our commitment to them." The delegation includes 6 representatives of Basque women’s organisations and groups. Thousands of women joined the action on Friday evening in front of the Bank of England in central London. French politicians sent a message of solidarity to Leyla Güven to mark 8 March, International Working Women’s Day. The celebrations started in the center of Paris, at République Square, where the women lied on the ground to represent women murdered by men. YPJ Commander Ariyan Qamishlo said ISIS gangs use civilians as human shields in the war and added that they fight at the forefront to save Yazidi women and children. At a time very difficult time for the Colombia peace process, women of the FARC party call on unity. HDP activist on hunger strike, Nasır Yağız, wrote to Leyla Güven, Sebahat Tuncel, Selma Irmak, Kibriye Evren and Dersim Dağ. 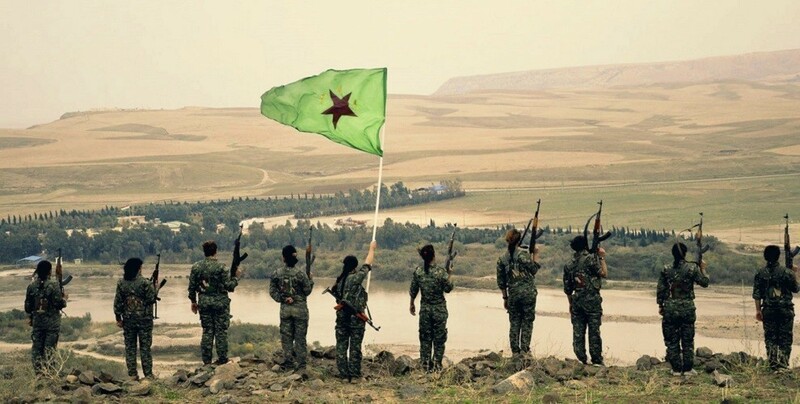 Victory against ISIS in North and East Syria is near. Yet another crackdown on those taking to the streets in Turkey. Peace in Kurdistan, Women’s Alliance for Kurdistan, Iraq and Syria has sent an open letter to UK Prime Minister Theresa May has part of the 8 March initiatives. Emotional moments were lived when 10 Yazidi families liberated by the SDF forces were greeted back. YJA Star Headquarters Command issued a written statement addressed to all the women of the world to mark 8 March. The 8 March International Working Women's Day rally in Amed was organized with the slogan ‘Women in resistance for freedom, women on strike’. YJA Star guerrillas celebrated March 8 and saluted Leyla Guven. Zozan Cewlik spoke in the celebration and said, “We will play an important role in the war of the age. We will lead with Zozan’s line, and end the isolation and hegemonic mindset."